Looking for best NDA NA books. About to buy Pathfinder book for NDA exam preparation. 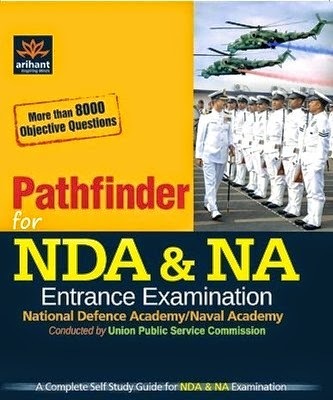 Check out the review of Pathfinder for NDA and NA examination book here. Also find out whether Pathfinder for NDA and NA is the best book for NDA exam preparation? Read on to know about authors, topics covered, price, best place to buy and experts opinion on Arihant publication's NDA exam book. NDA book Pathfinder is written by three famous authors - PK Mittal, OP Bisht, Neetika Goyal. Arihant publications has published the book. The book was first published in 2011. Number of Pages in Pathfinder for NDA & NA exam is 1134 Pages. The book Pathfinder for NDA & NA exam consists of three parts. One is for mathematics, second part for General Studies test and third one is for English. Following topics are extensively covered in the book. Though the price of the book varies as per the edition, currently 1st edition's maximum retail price is 585 rupees. One can check out local book stalls for buying the Pathfinder for NDA exam book. Flipkart also good place to purchase the book with handsome discounts. Currently Flipkart is providing 25% discount on the NDA book.